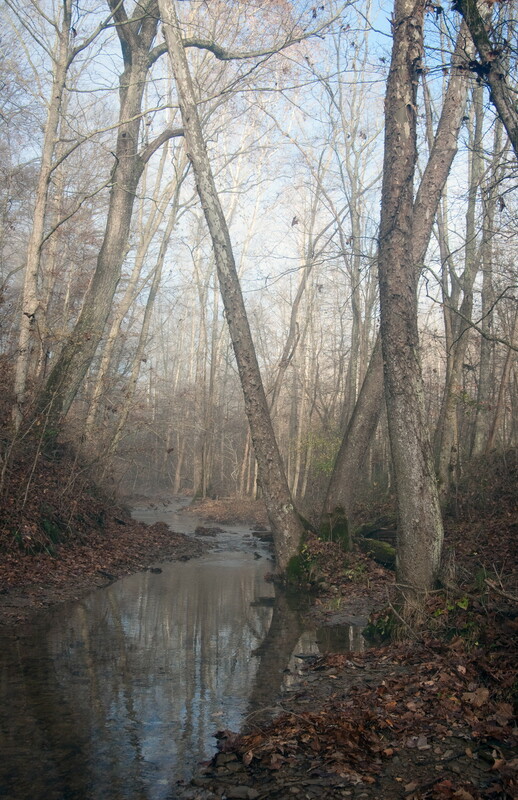 Yellowwood State Forest has several hiking trails which range in length from 1/3rd of a mile to 5 miles. The 4.5 mile loop around Yellowwood Lake is one of the most popular, as it offers great views down the ravines and across the lake. The 4.7 mile Scarce O’ Fat Loop takes you over High King Hill, a round knob almost 200 feet above the lake, and then follows the ridge by which the trail is named. Hikers are also welcome on the 19 miles of horse trails which wind throughout the forest.The 42-mile Tecumseh Trail also passes through Yellowwood, borrowing parts of the Yellowwood Lake Trail and Scarce O’ Fat Trail. Here is a scanned map from Yellowwood State Forest which shows the hiking and horse trails: Yellowwood State Forest Hiking and Horse Trail Map. This map does not depict the Tecumseh Trail. Check out the HHC Store for a high-resolution map of the Tecumseh Trail. 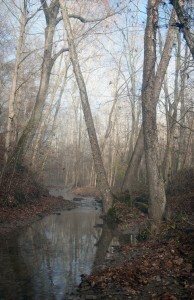 Yellowwood State Forest can be accessed from SR 45; however, this is not recommended because it often requires a vehicle with high clearance to cross two natural fords on Yellowwood Lake Road. It is better to approach from SR 46 to the south of the main park area. There is a sign for Yellowwood State Forest on SR 46, where Yellowwood Lake Road heads north. Yellowwood Lake Road is about 12 miles east of Bloomington and it is about 6 miles south and west of Nashville on SR 46. Take Yellowwood Lake Road north from SR 46. After 1.2 miles you will cross a small bridge and come to a junction where four roads come together at various angles. Turn left, staying on the main blacktop road, which is Yellowwood Lake Road. In a little less than a mile you will turn right, which is still Yellowwood Lake Road. There are signs for Yellowwood Lake Forest at this right turn. After turning, you will pass several campgrounds and the Yellowwood Lake Forest Headquarters on your left.